Weight: 15kg Finish: Baked enamel, lead free paint. Minor assembly requiredDimensions: length: 39.5 inches. Overall width: 17 inches. 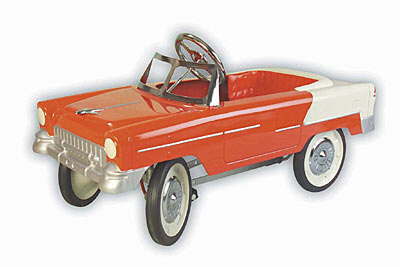 Overall height: 13 inches to the top edge of body and 20 inches to the steering wheel.